One of the most difficult things about cooking (apart from clearing up the catastrophic mess that trails in my wake) is maintaining variety. Given the choice, I’d happily eat mashed potatoes with every meal. Like clouds of salty, buttery fluff on a plate they can pretty much be teamed with any food in the universe. Except *maybe* curry. Although I’d be willing to give it a whirl. But apparently going through three pats of a butter a week is deemed ‘excessive’ and can eventually cause your little ticker to pack up for the weekend and bugger off to that shiny happy place in the sky. So, keen to keep my heart going for longer than 28 years, I’ve been experimenting with some less carb heavy, butterlicous side dishes. 1.) 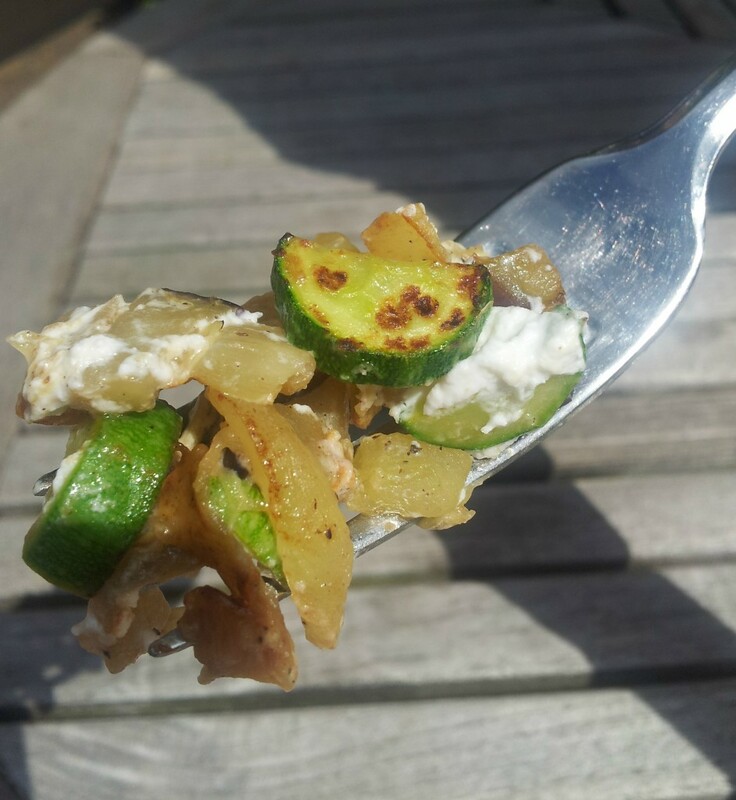 Finely slice your onions and chop the aubergine and courgette into little cubes. You don’t need to come over all ‘Sheldon from the Big Bang’ but they’ll cook better if they’re roughly the same size. 2.) Lightly fry the onions on a low heat in half the oil. 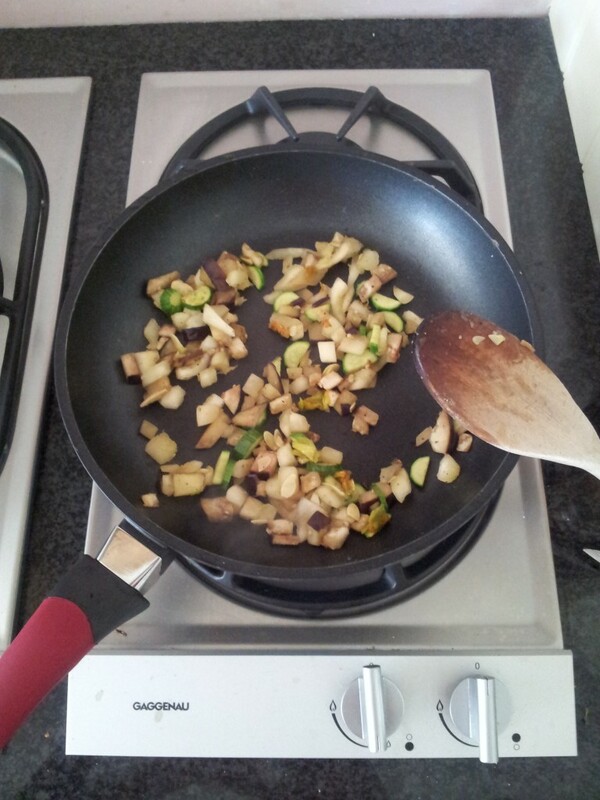 As they start to brown add your aubergines and courgettes with the rest of the fat. 3.) Add a generous sprinkling of salt and cracked black pepper and leave to brown. 4.) Once the vegetables turn golden, stir in the cream cheese. 5.) Cook gently for a further minute before serving with your choice of meat or fish. 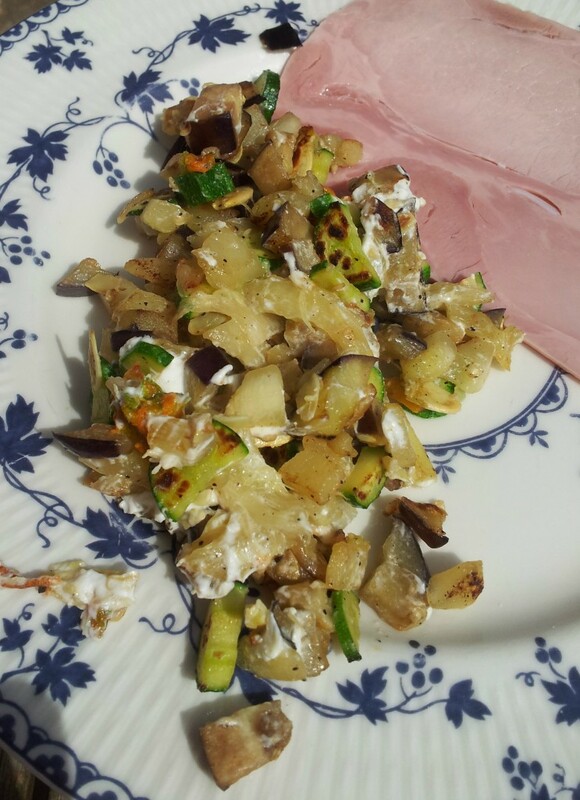 I recommend some ham for a lunchtime snack or roast chicken and broccoli if it’s an evening meal.